“First generation student” means you are one among the first generation of people in your immediate family to go to college or earn a college degree. If that’s you, our FirstGen@UCA Program is here to help you succeed in your efforts to earn your degree. Many First Gen students are academically ready for college, but have a lot of questions about HOW to do college. FirstGen@UCA can help answer those questions. So ask your questions! Let us know how to help you! Be proud that you are First2Go! 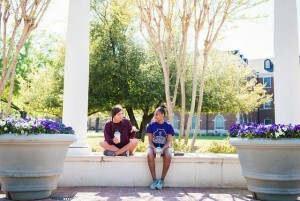 UCA Peer Coaches will be contacting our newest First Generation students throughout late Spring and Summer to help with the transition into the UCA community. New students admitted for Summer or Fall 2019 will receive information from the Peer Coaches to help answer questions they might have (and some they didn’t even know they had) about UCA and getting enrolled for Fall semester. Have a question for a peer coach? Email us at: studentsuccess@uca.edu! All First Gen students attending SOAR should be sure to stop by the Student Success table for a goody bag! It’s also a good time to meet our student coaches and Student Success staff. So come on by! First-generation college students who earn a degree have the ability not only to change their own lives, but also the lives of their family members and their communities. The more we know about their strengths and challenges, the more we can support them. The First2Go Awareness Campaign is a campus-wide event that seeks to raise awareness of the challenges faced by first-generation college students, as well as highlight resources available to our first gen students. During the First2Go Campaign, faculty, staff, and students are invited to show their support by wearing their First 2 Go button, and sharing their own success stories. Campus groups and departments are invited to organize events related to first-generation student success. First2Go Awareness Week is sponsored by the Office of Student Success, the Department of Student Transitions, the UCA Family Network, Student Services, Academic Advising Center, Office of Diversity & Community, Learning Communities, and Housing & Residence Life. UCA Supports our First Gen!! Follow the link for more information on the new Arch Ford Scholars scholarship program for first generation Bears.